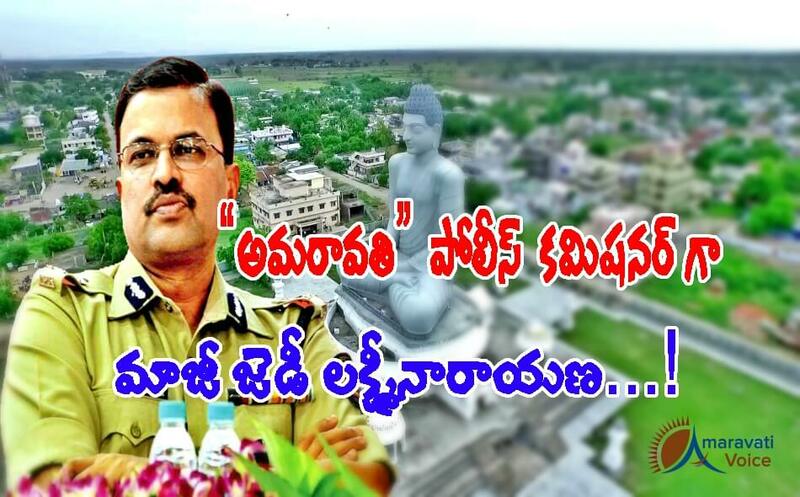 Ex-CBI JD Lakshmi Narayana to Take Charge as Amaravati Police Boss ? Sources are came to known that Ex-CBI JD Laksmi Narayana is going to take charge as Amaravati Police Commissioner. Chief Minister Chandrababu Naidu is very keen on bringing Lakshmi Narayana to Amaravati. It is know that, Laksmi Narayana is coming on Deputation to Andhra Pradesh for three years. Chief Minister also approved this and only the formalities are left to declare this. Right now, Lakshmi Narayana is working as Joint Police Commissioner of Pune. As government has taken very prestigious in building Amaravati, it is keen on keeping the right officers to get the things done in a planned manner and to complete ASAP. In this regard, to maintain law and order, it is going to deploy strict officers like Lakshmi Narayana. Earlier Lakshmi Narayana is known for dealing Jagan's case and booked many IAS officers and industrialists in the case. Very good news. There can't be a better person to be the first Police Commissioner of Amaravathi. He is a terror for the terrorists, if any in the state. He is most welcome. Thanks to our c.m to appoint such sincere officer. A great officer for a great place. Wonderful selection. Right person for this place. Law and order will be maintained in world standards. An officer well adored by citizens of A.P.Completion of Amaravathi will be completed before schedule because of his presence. Deputation of officers like JDL & SRIKANTH in CRDA REGION shows the magnitude of thoughts of our Pupil's CM-NCB. who else deserves the post ! JD will be remembered as the 1st Police Commissioner of our new capital Amaravati. who else deserves the post at present other than JD !